Playmat Personalizado!! 4 Unidades Magic The Gathering!! Playmat Personalizado!! 3 Unidades Magic The Gathering!! Playmat 2 Unidades Personalizados. Magic The Gathering. 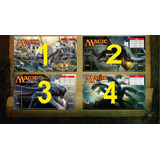 Playmat Personalizado!todas 9 Unidades Magic The Gathering!! Playmat Personalizado!! 6 Unidades Magic The Gathering!! Playmat Personalizado!! 5 Unidades Magic The Gathering!! Playmat / Tapete Castelvania! Personalizado!